What Chinese Year is it? Find out what Chinese Year it is! 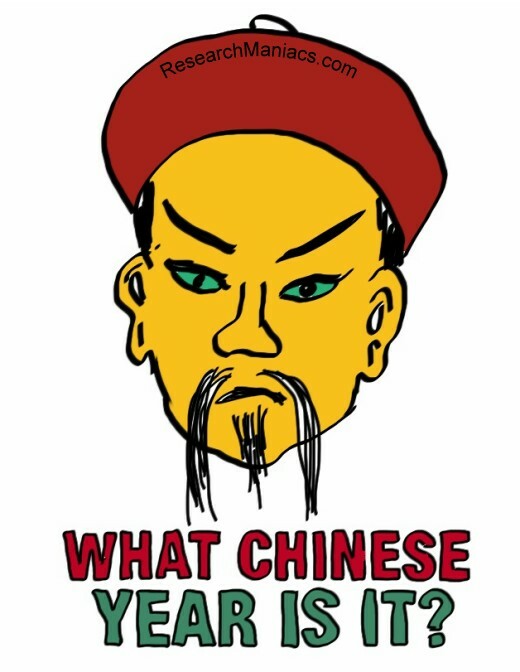 So you ask yourself: What Chinese year is it? In other words, what Chinese animal year is it? Simply find the year below. Be aware that the Chinese New Year is either in January or February, so if the current date is in January or February, the current Chinese Year (animal) may be the one from the previous year listed. If the current date and year is between February 5, 1924 and January 23, 1925 then the current Chinese year is the year of the Rat. If the current date and year is between January 24, 1925 and February 12, 1926 then the current Chinese year is the year of the Ox. If the current date and year is between February 13, 1926 and February 1, 1927 then the current Chinese year is the year of the Tiger. If the current date and year is between February 2, 1927 and January 21, 1928 then the current Chinese year is the year of the Rabbit. If the current date and year is between January 22, 1928 and February 8, 1929 then the current Chinese year is the year of the Dragon. If the current date and year is between February 9, 1929 and January 28, 1930 then the current Chinese year is the year of the Snake. If the current date and year is between January 29, 1930 and February 16, 1931 then the current Chinese year is the year of the Horse. If the current date and year is between February 17, 1931 and February 5, 1932 then the current Chinese year is the year of the Goat. If the current date and year is between February 6, 1932 and January 24, 1933 then the current Chinese year is the year of the Monkey. If the current date and year is between January 25, 1933 and February 13, 1934 then the current Chinese year is the year of the Rooster. If the current date and year is between February 14, 1934 and February 2, 1935 then the current Chinese year is the year of the Dog. If the current date and year is between February 3, 1935 and January 23, 1936 then the current Chinese year is the year of the Pig. If the current date and year is between January 24, 1936 and February 10, 1937 then the current Chinese year is the year of the Rat. If the current date and year is between February 11, 1937 and January 30, 1938 then the current Chinese year is the year of the Ox. If the current date and year is between January 31, 1938 and February 18, 1939 then the current Chinese year is the year of the Tiger. If the current date and year is between February 19, 1939 and February 7, 1940 then the current Chinese year is the year of the Rabbit. If the current date and year is between February 8, 1940 and January 26, 1941 then the current Chinese year is the year of the Dragon. If the current date and year is between January 27, 1941 and February 14, 1942 then the current Chinese year is the year of the Snake. If the current date and year is between February 15, 1942 and February 4, 1943 then the current Chinese year is the year of the Horse. If the current date and year is between February 5, 1943 and January 24, 1944 then the current Chinese year is the year of the Goat. If the current date and year is between January 25, 1944 and February 12, 1945 then the current Chinese year is the year of the Monkey. If the current date and year is between February 13, 1945 and February 1, 1946 then the current Chinese year is the year of the Rooster. If the current date and year is between February 2, 1946 and January 21, 1947 then the current Chinese year is the year of the Dog. If the current date and year is between January 22, 1947 and February 9, 1948 then the current Chinese year is the year of the Pig. If the current date and year is between February 10, 1948 and January 28, 1949 then the current Chinese year is the year of the Rat. If the current date and year is between January 29, 1949 and February 16, 1950 then the current Chinese year is the year of the Ox. If the current date and year is between February 17, 1950 and February 5, 1951 then the current Chinese year is the year of the Tiger. If the current date and year is between February 6, 1951 and January 26, 1952 then the current Chinese year is the year of the Rabbit. If the current date and year is between January 27, 1952 and February 13, 1953 then the current Chinese year is the year of the Dragon. If the current date and year is between February 14, 1953 and February 2, 1954 then the current Chinese year is the year of the Snake. If the current date and year is between February 3, 1954 and January 23, 1955 then the current Chinese year is the year of the Horse. If the current date and year is between January 24, 1955 and February 11, 1956 then the current Chinese year is the year of the Goat. If the current date and year is between February 12, 1956 and January 30, 1957 then the current Chinese year is the year of the Monkey. If the current date and year is between January 30, 1957 and February 17, 1958 then the current Chinese year is the year of the Rooster. If the current date and year is between February 18, 1958 and February 7, 1959 then the current Chinese year is the year of the Dog. If the current date and year is between February 8, 1959 and January 27, 1960 then the current Chinese year is the year of the Pig. If the current date and year is between January 28, 1960 and February 14, 1961 then the current Chinese year is the year of the Rat. If the current date and year is between February 15, 1961 and February 4, 1962 then the current Chinese year is the year of the Ox. If the current date and year is between February 5, 1962 and January 24, 1963 then the current Chinese year is the year of the Tiger. If the current date and year is between January 25, 1963 and February 12, 1964 then the current Chinese year is the year of the Rabbit. If the current date and year is between February 13, 1964 and February 1, 1965 then the current Chinese year is the year of the Dragon. If the current date and year is between February 2, 1965 and January 20, 1966 then the current Chinese year is the year of the Snake. If the current date and year is between January 21, 1966 and February 8, 1967 then the current Chinese year is the year of the Horse. If the current date and year is between February 9, 1967 and January 29, 1968 then the current Chinese year is the year of the Goat. If the current date and year is between January 30, 1968 and February 16, 1969 then the current Chinese year is the year of the Monkey. If the current date and year is between February 17, 1969 and February 5, 1970 then the current Chinese year is the year of the Rooster. If the current date and year is between February 6, 1970 and January 26, 1971 then the current Chinese year is the year of the Dog. If the current date and year is between January 27, 1971 and February 14, 1972 then the current Chinese year is the year of the Pig. If the current date and year is between February 15, 1972 and February 2, 1973 then the current Chinese year is the year of the Rat. If the current date and year is between February 3, 1973 and January 24, 1974 then the current Chinese year is the year of the Ox. If the current date and year is between January 23, 1974 and February 10, 1975 then the current Chinese year is the year of the Tiger. If the current date and year is between February 11, 1975 and January 30, 1976 then the current Chinese year is the year of the Rabbit. If the current date and year is between January 31, 1976 and February 17, 1977 then the current Chinese year is the year of the Dragon. If the current date and year is between February 18, 1977 and February 6, 1978 then the current Chinese year is the year of the Snake. If the current date and year is between February 7, 1978 and January 27, 1979 then the current Chinese year is the year of the Horse. If the current date and year is between January 28, 1979 and February 15, 1980 then the current Chinese year is the year of the Goat. If the current date and year is between February 16, 1980 and February 4, 1981 then the current Chinese year is the year of the Monkey. If the current date and year is between February 5, 1981 and January 24, 1982 then the current Chinese year is the year of the Rooster. If the current date and year is between January 25, 1982 and February 12, 1983 then the current Chinese year is the year of the Dog. If the current date and year is between February 13, 1983 and February 1, 1984 then the current Chinese year is the year of the Pig. If the current date and year is between February 2, 1984 and February 19, 1985 then the current Chinese year is the year of the Rat. If the current date and year is between February 20, 1985 and February 8, 1986 then the current Chinese year is the year of the Ox. If the current date and year is between February 9, 1986 and January 28, 1987 then the current Chinese year is the year of the Tiger. If the current date and year is between January 29, 1987 and February 16, 1988 then the current Chinese year is the year of the Rabbit. If the current date and year is between February 17, 1988 and February 5, 1989 then the current Chinese year is the year of the Dragon. If the current date and year is between February 6, 1989 and January 26, 1990 then the current Chinese year is the year of the Snake. If the current date and year is between January 27, 1990 and February 14, 1991 then the current Chinese year is the year of the Horse. If the current date and year is between February 14, 1991 and February 3, 1992 then the current Chinese year is the year of the Goat. If the current date and year is between February 4, 1992 and January 22, 1993 then the current Chinese year is the year of the Monkey. If the current date and year is between January 23, 1993 and February 9, 1994 then the current Chinese year is the year of the Rooster. If the current date and year is between February 10, 1994 and January 30, 1995 then the current Chinese year is the year of the Dog. If the current date and year is between January 31, 1995 and February 18, 1996 then the current Chinese year is the year of the Pig. If the current date and year is between February 19, 1996 and February 6, 1997 then the current Chinese year is the year of the Rat. If the current date and year is between February 7, 1997 and January 27, 1998 then the current Chinese year is the year of the Ox. If the current date and year is between January 28, 1998 and February 15, 1999 then the current Chinese year is the year of the Tiger. If the current date and year is between February 16, 1999 and February 4, 2000 then the current Chinese year is the year of the Rabbit. If the current date and year is between February 5, 2000 and January 23, 2001 then the current Chinese year is the year of the Dragon. If the current date and year is between January 24, 2001 and February 11, 2002 then the current Chinese year is the year of the Snake. If the current date and year is between February 12, 2002 and January 31, 2003 then the current Chinese year is the year of the Horse. If the current date and year is between February 1, 2003 and January 21, 2004 then the current Chinese year is the year of the Goat. If the current date and year is between January 22, 2004 and February 8, 2005 then the current Chinese year is the year of the Monkey. If the current date and year is between February 9, 2005 and January 28, 2006 then the current Chinese year is the year of the Rooster. If the current date and year is between January 29, 2006 and February 17, 2007 then the current Chinese year is the year of the Dog. If the current date and year is between February 18, 2007 and February 3, 2008 then the current Chinese year is the year of the Pig. If the current date and year is between February 7, 2008 and January 25, 2009 then the current Chinese year is the year of the Rat. If the current date and year is between January 26, 2009 and February 13, 2010 then the current Chinese year is the year of the Ox. If the current date and year is between February 14, 2010 and February 2, 2011 then the current Chinese year is the year of the Tiger. If the current date and year is between February 3, 2011 and January 22, 2012 then the current Chinese year is the year of the Rabbit. If the current date and year is between January 23, 2012 and February 9, 2013 then the current Chinese year is the year of the Dragon. If the current date and year is between February 10, 2013 and January 30, 2014 then the current Chinese year is the year of the Snake. If the current date and year is between January 31, 2014 and February 18, 2015 then the current Chinese year is the year of the Horse. If the current date and year is between February 19, 2015 and February 7, 2016 then the current Chinese year is the year of the Goat. If the current date and year is between February 8, 2016 and January 27, 2017 then the current Chinese year is the year of the Monkey. If the current date and year is between January 28, 2017 and February 15, 2018 then the current Chinese year is the year of the Rooster. If the current date and year is between February 16, 2018 and February 4, 2019 then the current Chinese year is the year of the Dog. 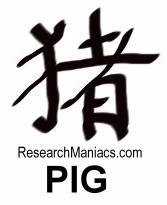 If the current date and year is between February 5, 2019 and January 24, 2020 then the current Chinese year is the year of the Pig. 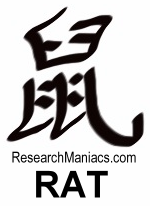 If the current date and year is between January 25, 2020 and February 11, 2021 then the current Chinese year is the year of the Rat. 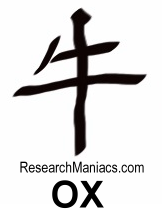 If the current date and year is between February 12, 2021 and January 31, 2022 then the current Chinese year is the year of the Ox. If the current date and year is between February 1, 2022 and January 21, 2023 then the current Chinese year is the year of the Tiger. 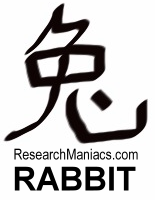 If the current date and year is between January 22, 2023 and February 9, 2024 then the current Chinese year is the year of the Rabbit. 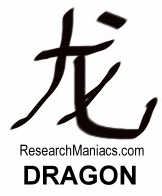 If the current date and year is between February 10, 2024 and January 28, 2025 then the current Chinese year is the year of the Dragon. 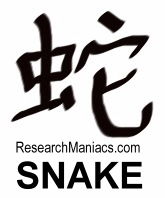 If the current date and year is between January 29, 2025 and February 16, 2026 then the current Chinese year is the year of the Snake. 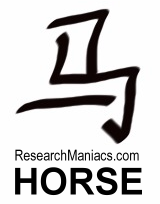 If the current date and year is between January 17, 2026 and February 5, 2027 then the current Chinese year is the year of the Horse. 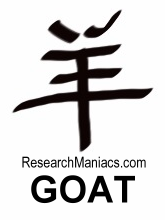 If the current date and year is between February 6, 2027 and January 25, 2028 then the current Chinese year is the year of the Goat. 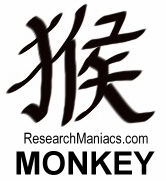 If the current date and year is between January 26, 2028 and February 12, 2029 then the current Chinese year is the year of the Monkey. 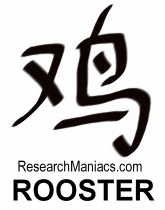 If the current date and year is between February 13, 2029 and February 2, 2030 then the current Chinese year is the year of the Rooster. If the current date and year is between February 3, 2030 and January 22, 2031 then the current Chinese year is the year of the Dog. If the current date and year is between January 23, 2031 and February 10, 2032 then the current Chinese year is the year of the Pig. If the current date and year is between February 11, 2032 and January 30, 2033 then the current Chinese year is the year of the Rat. If the current date and year is between January 31, 2033 and February 18, 2034 then the current Chinese year is the year of the Ox. 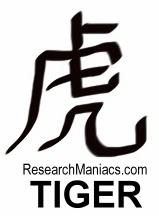 If the current date and year is between February 19, 2034 and February 7, 2035 then the current Chinese year is the year of the Tiger. If the current date and year is between February 8, 2035 and January 27, 2036 then the current Chinese year is the year of the Rabbit. If the current date and year is between January 28, 2036 and February 14, 2037 then the current Chinese year is the year of the Dragon. If the current date and year is between February 15, 2037 and February 3, 2038 then the current Chinese year is the year of the Snake. If the current date and year is between February 4, 2038 and January 23, 2039 then the current Chinese year is the year of the Horse. If the current date and year is between January 24, 2039 and February 11, 2040 then the current Chinese year is the year of the Goat. If the current date and year is between February 12, 2040 and January 31, 2041 then the current Chinese year is the year of the Monkey. If the current date and year is between February 1, 2041 and January 21, 2042 then the current Chinese year is the year of the Rooster. If the current date and year is between January 22, 2042 and February 9, 2043 then the current Chinese year is the year of the Dog. If the current date and year is between February 10, 2043 and January 29, 2044 then the current Chinese year is the year of the Pig. What Chinese Year was i Born? Find out what Chinese Year you were born. When is Chinese New Year this year, and future years.